In late June, we embarked on a move to consolidate all of our business operations under one roof. 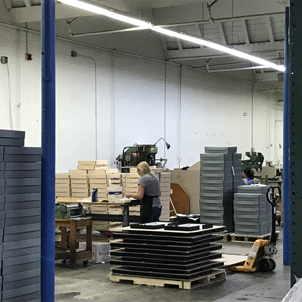 Our expanded space keeps us in Rochester, and will allow for greater capacity to develop new products and explore new collaborations with other firms. Archival Methods has quite a history of moves; hopefully this most recent one will be the last for a long while! Founded in 2002, Archival Methods’ original location was on University Avenue in Rochester. After just one year in business, it was necessary to find larger space on Middle Road in Henrietta. 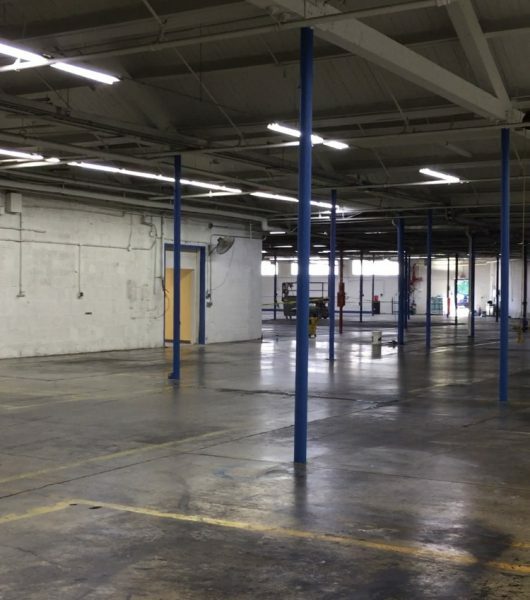 The next year saw an expansion into more suites in the Henrietta location, and by 2011, the warehouse and offices moved across the street to a brand new building. As our production needs changed, our manufacturing operations officially opened in a separate space on Middle Road in 2015. 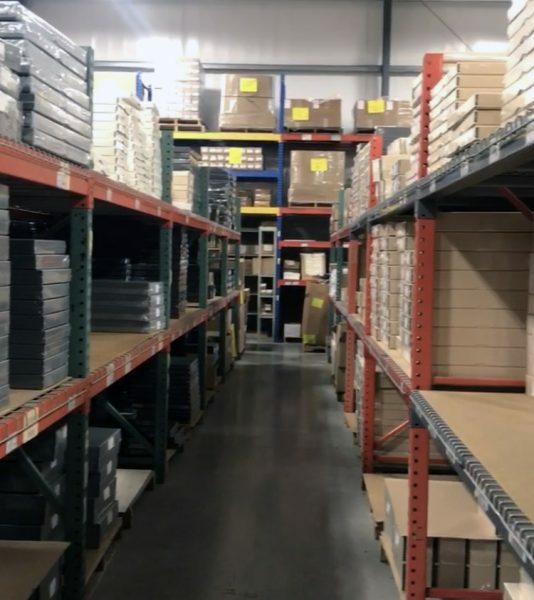 As we added products and increased our customization work, our space in both Henrietta locations was getting tight, and operations logistics unnecessarily complicated. To keep pace with our growing company, it became necessary to consolidate into larger space once again. 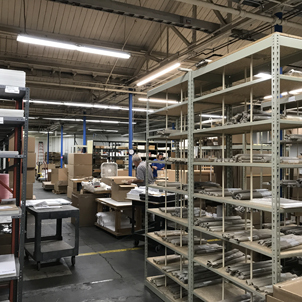 On Driving Park Avenue, we are sharing a commercial building with Book One, a local publisher, and have renovated and retrofit the space for our office and manufacturing equipment. By combining these operations into one space, we can take advantage of increased efficiencies that will benefit our customers. 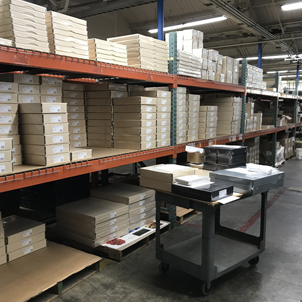 Now that all of our raw materials and products are in the same building as our shipping center, we will have faster turnaround times. Our expanded location is better suited for our increased customization work as well. 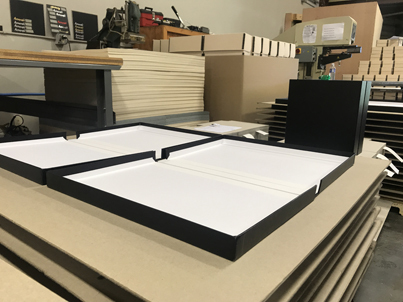 We have always offered custom matboard and frames, and are doing more custom boxes and binders. Look for an upcoming blog post about our new capabilities. We are also looking forward to new collaborations with other local businesses. 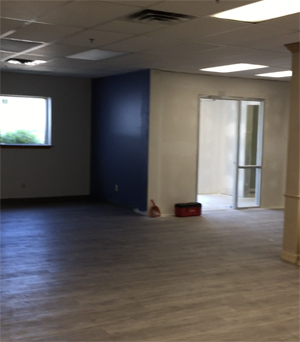 As of August, we are fully up and running at the new location. Thanks to all our customers for their patience as we settled into the new space, got phone lines up and running, and resumed our normal shipping schedule. « Old Photos & Heirlooms | Safe Alternatives to Basement & Attic Storage	» Beyond “Photo-Safe”…What Does it All Mean? do you sell archival spray in a can to protect photographs both shiny and matte finish? No we do not sell spray for digital prints. If you use sprays make sure you test the effects on teat prints before using on finished artwork. They will change the look of the prints depending on paper surface.